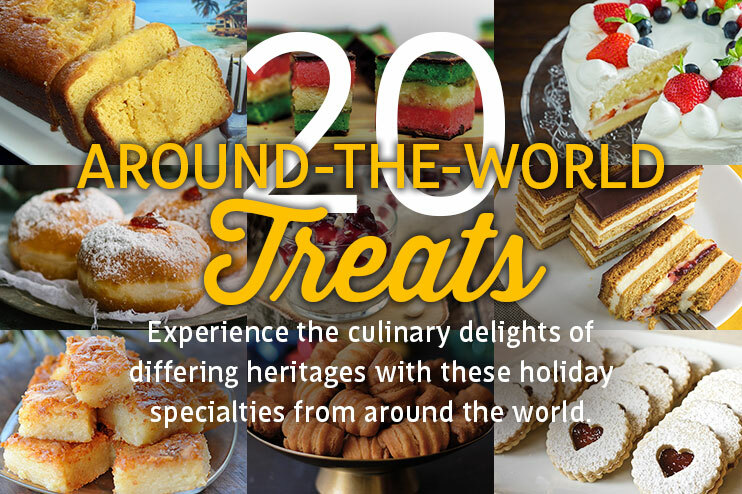 Experience the culinary delights of differing heritages with these holiday specialties from around the world. 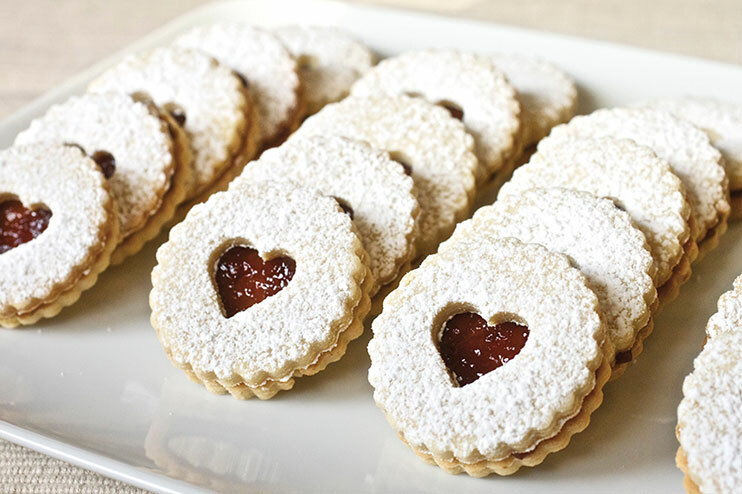 Delicate, delicious and definite showstoppers, Linzer cookies are a smaller version of the well-known Linzer torte. 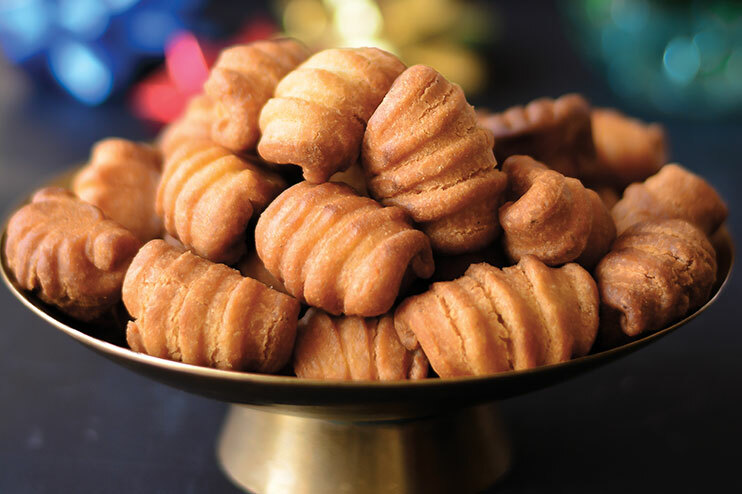 No Indian Christmas is complete without the humble kal kal—a cardamom–flavored deep–fried cookie that is crisp on the outside and cake-like on the inside. 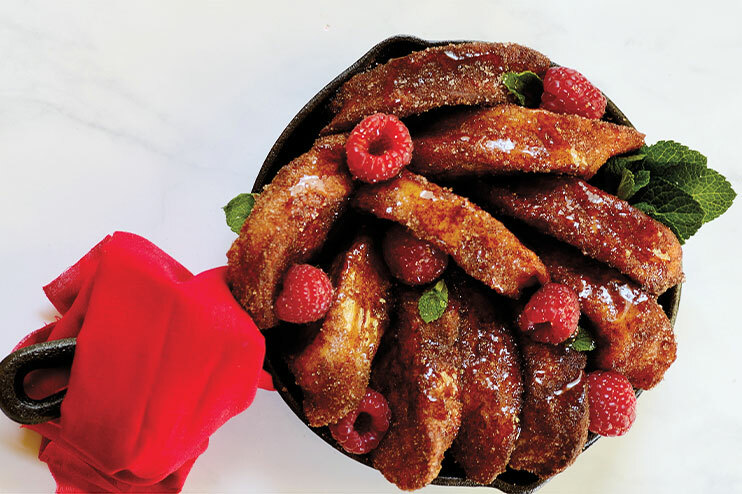 In Brazil, this sweet French toast is served as a Christmas dessert or an afternoon snack. It’s made differently than its American cousin to give it a much sweeter, crunchier outside. 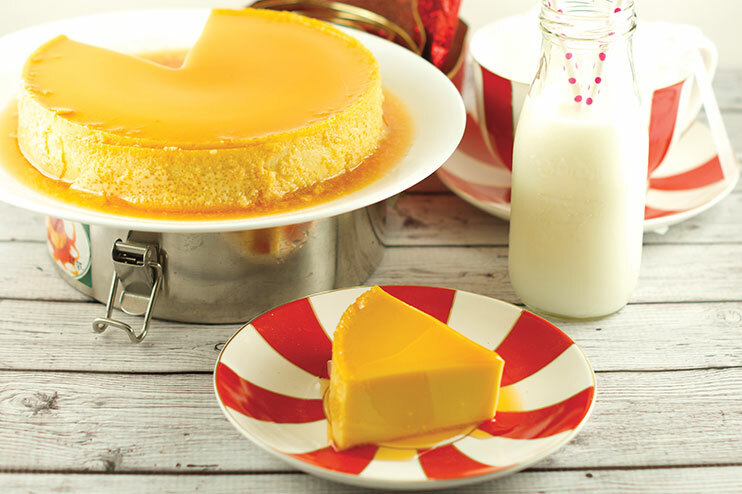 This soft and silky flan recipe revels in the rich tipsy eggnog of the states. 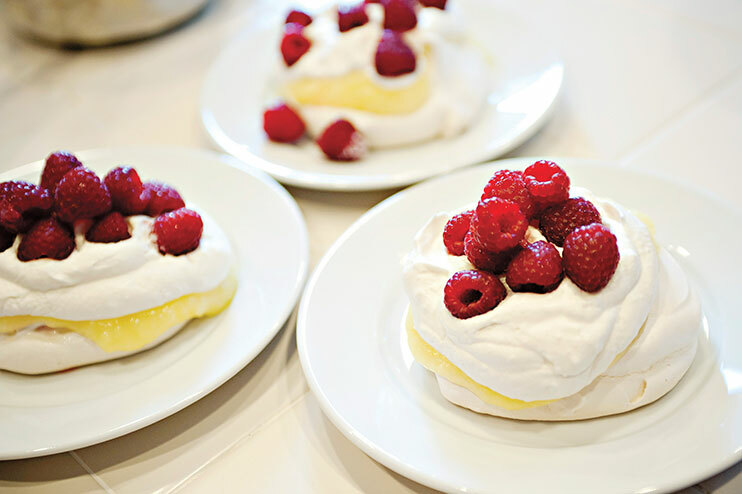 Although it’s named after the Russian ballerina Anna Pavlova (the billowy dessert was said to look like her tutu), pavlova is a dish that originated down under (both Australia and New Zealand claim its origin). These classic Italian cookies, like almond-flavored macaroons, can vary in texture from chewy to crispy. 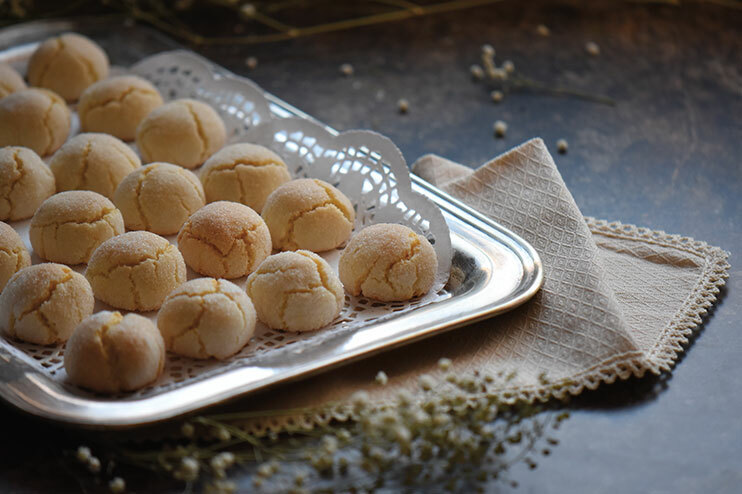 This recipe produces smooth and soft amaretti. 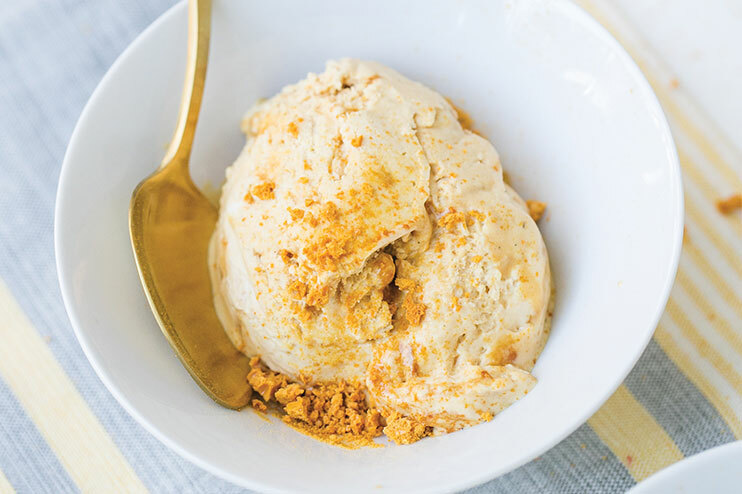 Scrumptious chunks of “hokey pokey,” or honeycomb toffee, are mixed with vanilla ice cream to make this one of New Zealand’s most popular, must-have ice cream flavors. 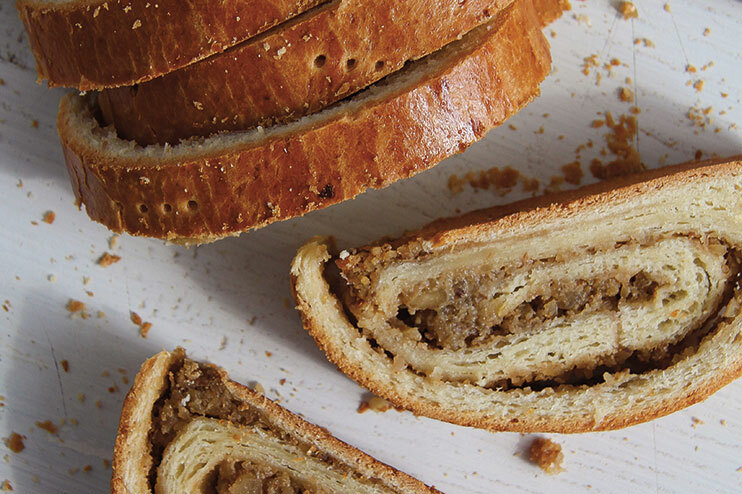 This traditional sweet pastry can be found in most Hungarian and eastern European homes during Christmastime. 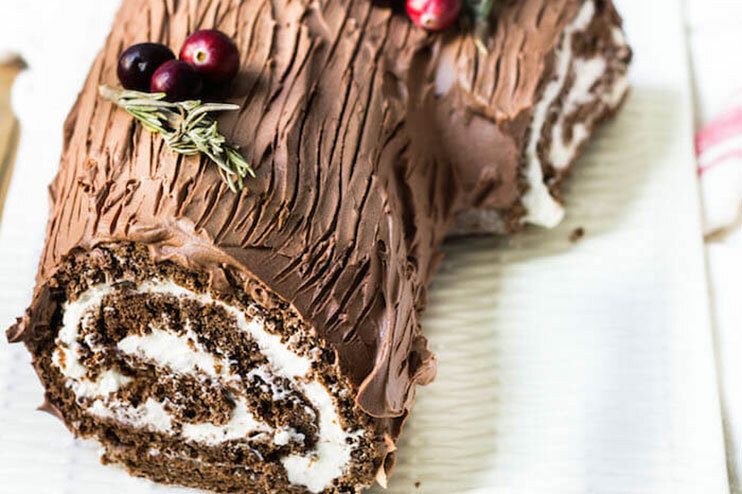 It’s one of two variations on the holiday treat; the other features a poppy seed filling. 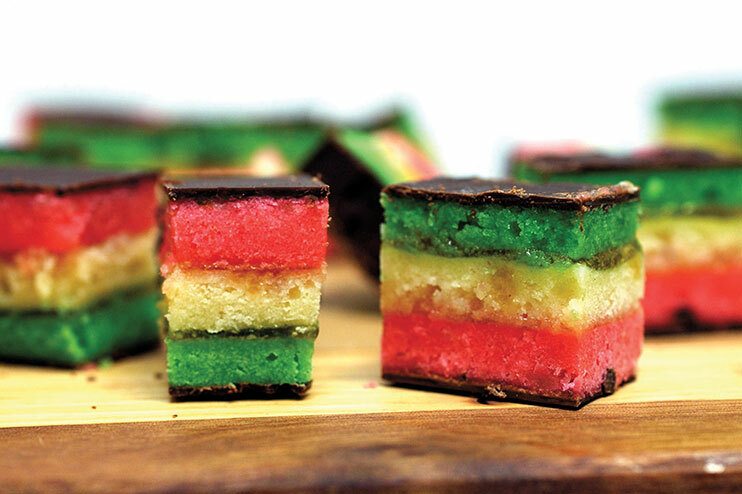 Popular in Italian–American bakeries, these stacked almond cakes with apricot jam and chocolate topping showcase signature pink and green stripes. 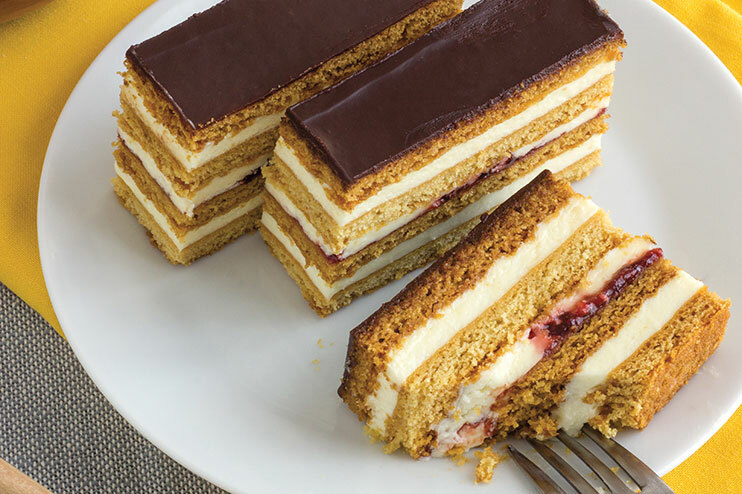 Four slices of rich, honey–flavored baked pastry are layered with pudding, jam, and topped with a chocolate glaze to make these delicious bite–sized desserts. 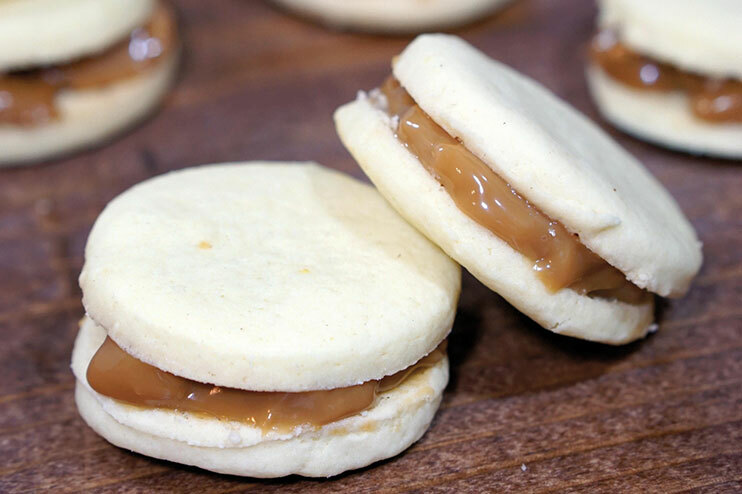 Widely considered to be the national cookie of Argentina, alfajores feature creamy, smooth caramel sandwiched between two sweet and crumbly shortbread cookies. 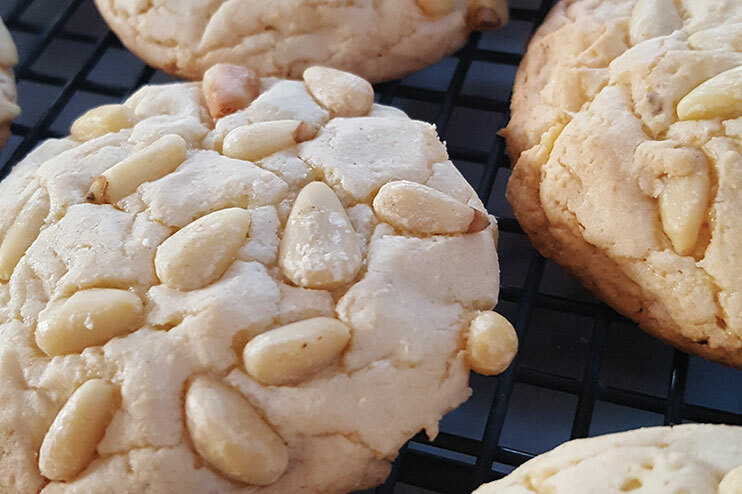 This classic Italian cookie recipe calls for true almond paste, which is essential to yield a soft and chewy texture you’ll want to indulge in. 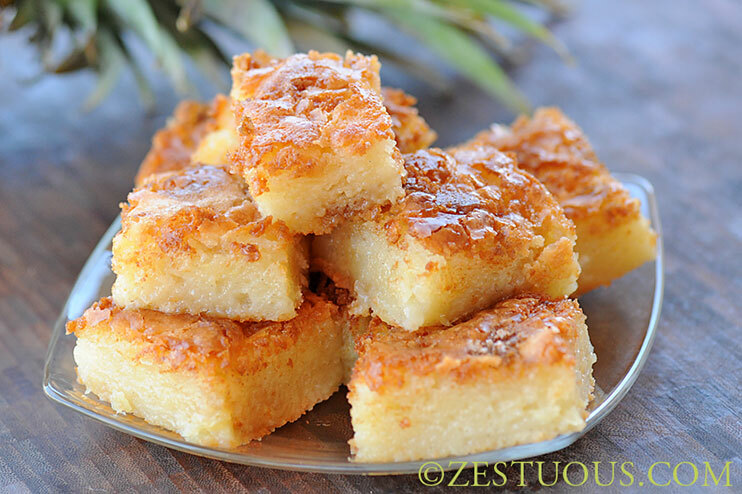 A staple at many Filipino family gatherings and holiday events, Bigingka is a spongy, unfrosted cake made with sweet rice flour and cream of coconut. 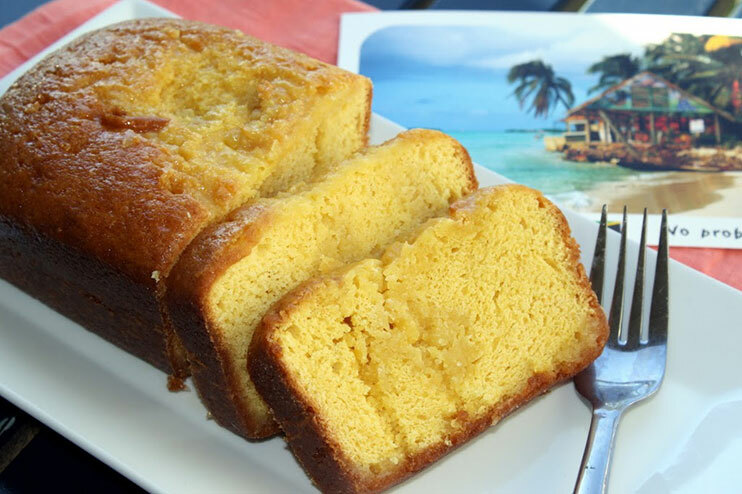 Most households on the Caribbean island have their own versions of this recipe, which is often baked to mark special events like Christmas, weddings, baptisms and other celebrations. Mildly sweet (and nutritious! 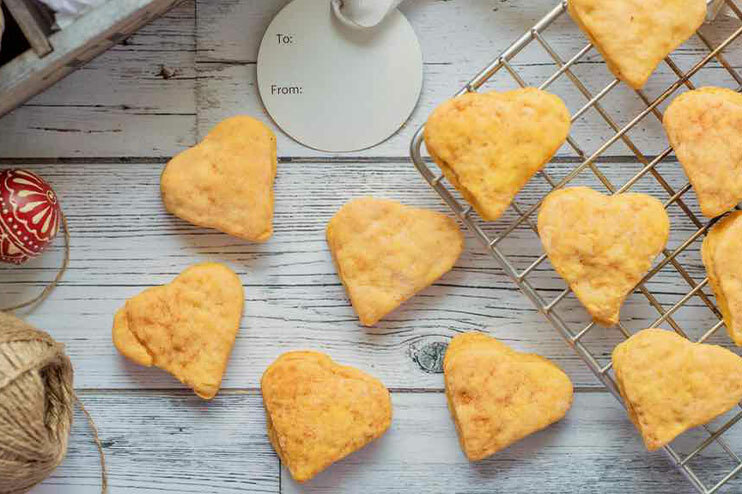 ), these cookies boast a soft, spongy texture traditionally cut into the shape of a heart to represent the friendly and hospitable nature of Malawi’s people. Filled with cream and iced with dark chocolate mocha buttercream, this thinly rolled sponge cake is an easy way to make a big impression—no fancy decorating skills required! Sufganiyot and other fried treats are traditionally enjoyed during Hanukkah. 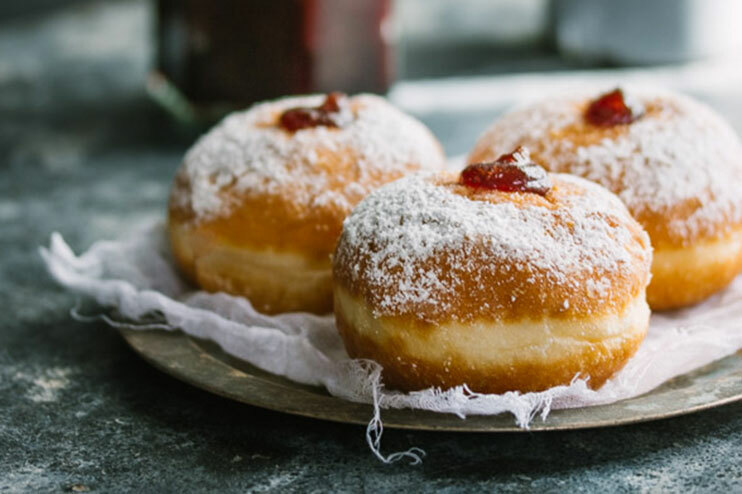 Try this old–fashioned recipe for soft, deep–fried yeast doughnuts filled with jam and sprinkled with powdered sugar. 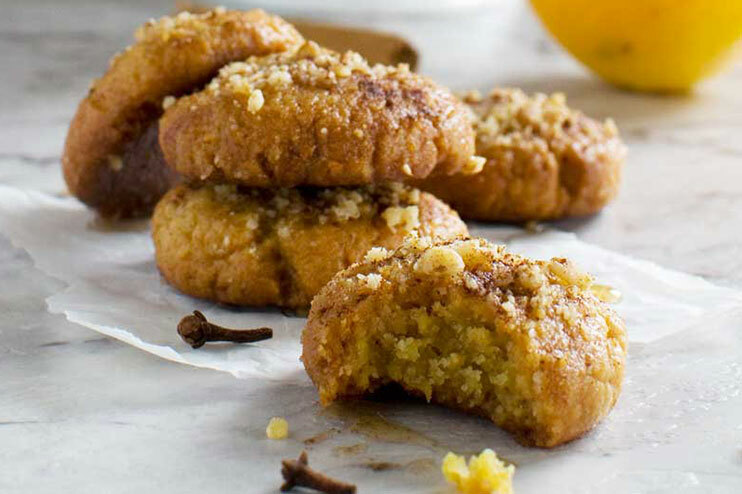 Soaked in honey and sprinkled with walnuts and cinnamon, these oh–so–gooey cookies are made of sweet, spice and everything nice. Try stopping at just one! 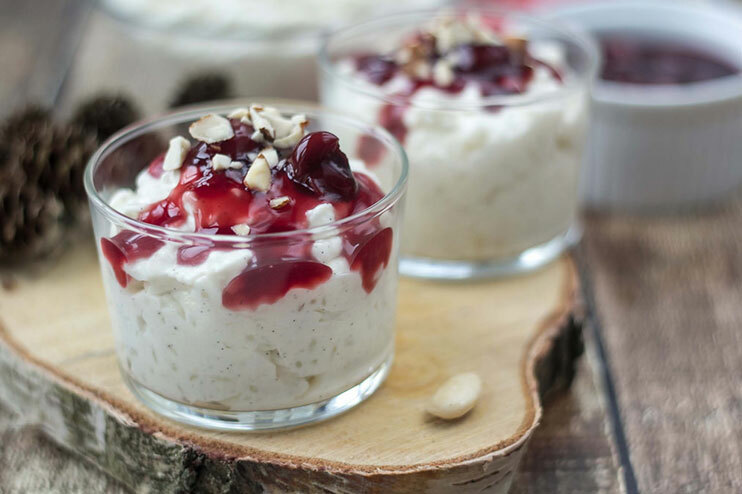 Perhaps the most popular Danish Christmas dessert is Risalamande, a rice pudding with vanilla, almonds and whipped cream, typically served with a warm cherry sauce. 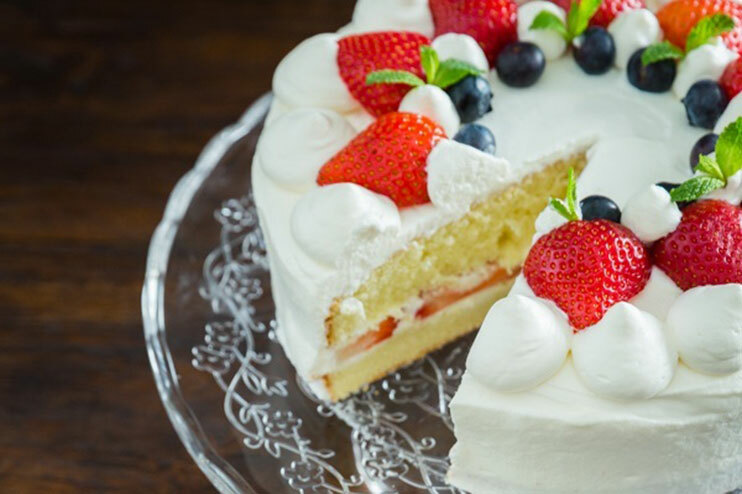 Great to serve at any celebration, especially Christmas, this light and spongy cake is topped with hand–whipped cream and fresh strawberries which perfectly balances the overall sweeeness.